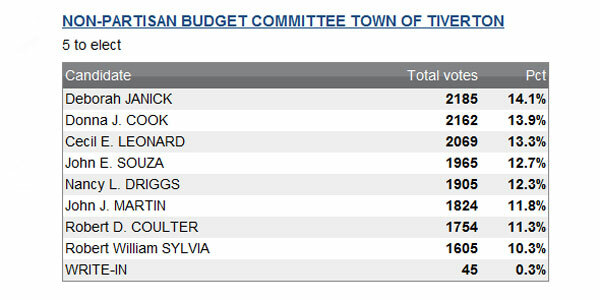 In his roundup of outcomes of the election in Tiverton, Sakonnet Times reporter Tom Killin Dalglish highlights the fact that Dave Perry’s election to the Town Council means that he’ll leave behind a vacancy on the Budget Committee. Two of the five councilor-elects — Joan Chabot and Peter Mello — would like to see the Budget Committee candidate who received the next-most votes (John Martin) appointed to the position. 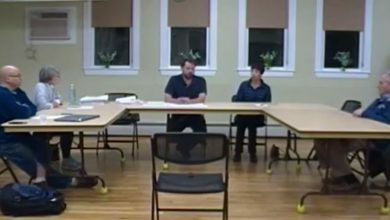 Three — Jay Lambert, Brett Pelletier, and Denise deMedeiros — suggest that there ought to be a more-extensive process for choosing the replacement, with the council making an independent decision. And two — Joe Sousa and Dave Perry, himself — are not quoted with an opinion. 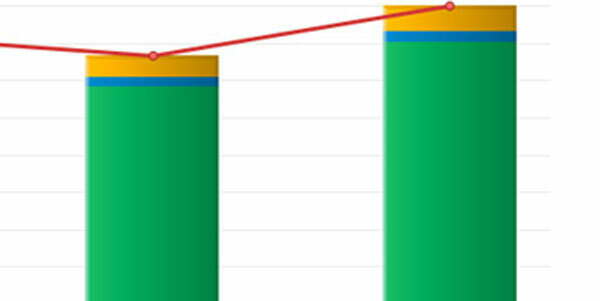 This circumstance has arisen for only one other council in the history of the Budget Committee, at least going back to the passage of the Home Rule Charter in 1994, and if the three council members who want to ignore the election results have their way, they’ll set a new, divisive precedent. The first records of Budget Committee members participating in a general election are from 2002, and the only other Budget Committee member who vacated his position because he was elected to the Town Council was Rob Coulter, after the elections of 2010. That year, despite having strong representation from Tiverton Citizens for Change, the Town Council unanimously appointed the next-highest vote getter, Laura Epke, even though she was aligned with another faction in town. Records showing it would be difficult to obtain, but in the past fifteen years, other Budget Committee vacancies may have arisen with different outcomes. As an election fades into the past, however, both the interests of the candidates and the dynamics of the town change. Now in 2014, if a majority of this current Town Council votes to break with both the original practice of the 1994 charter and the 2010 Town Council’s voluntary continuation of the same practice, it will be pointing town politics in a new direction. Watch what they do, not what they say. If they can’t bear to follow the will of the voters by selecting Budget Committee members in the order in which they received votes, they’ll be the ones dividing the town and sending the message that they really aren’t willing to work together. * Correction (11/23/14 3:00 p.m.): This post overlooked Donald Bollin as the highest vote getter who didn’t make the council, ahead of Jeff Belli. This does not affect the argument, however, because, like Durfee, Bollin did not seek appointment, and it remains true that Belli received a substantial number of votes.